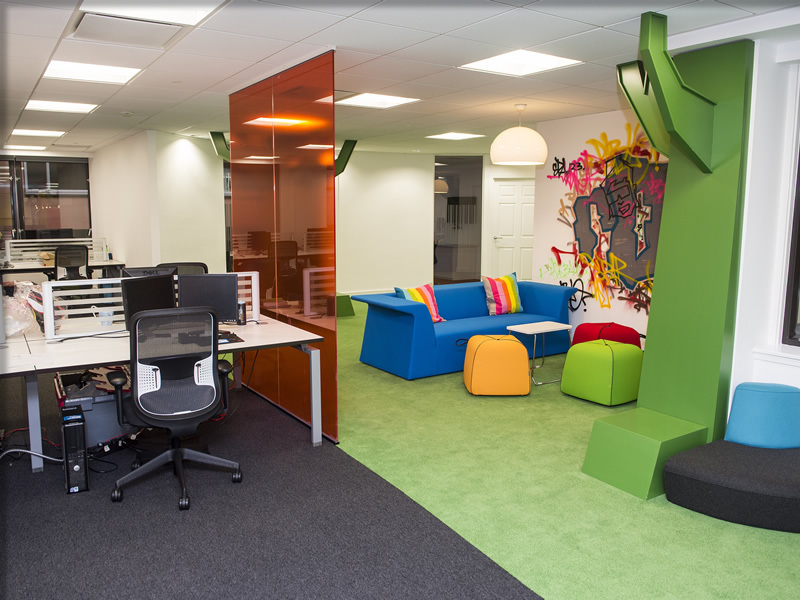 International software company, Blackbaud, have just moved into their only Scottish location with an innovative Glasgow Green-themed office refurbishment designed by London-based Clare Bradshaw from Nutmeg Studios and fitted by Glasgow-based Scotwood Interiors. 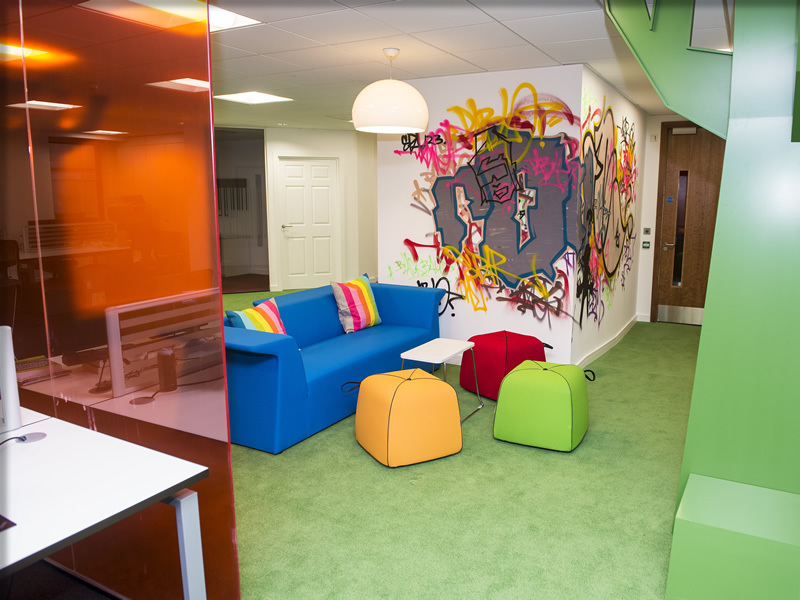 Based in Glasgow City centre, a standard open-plan office has been transformed in to a bespoke “Dear Green Workplace” with meeting rooms and break out areas fitted out with indoor trees, grass, street graffiti and Glasgow tenement windows. 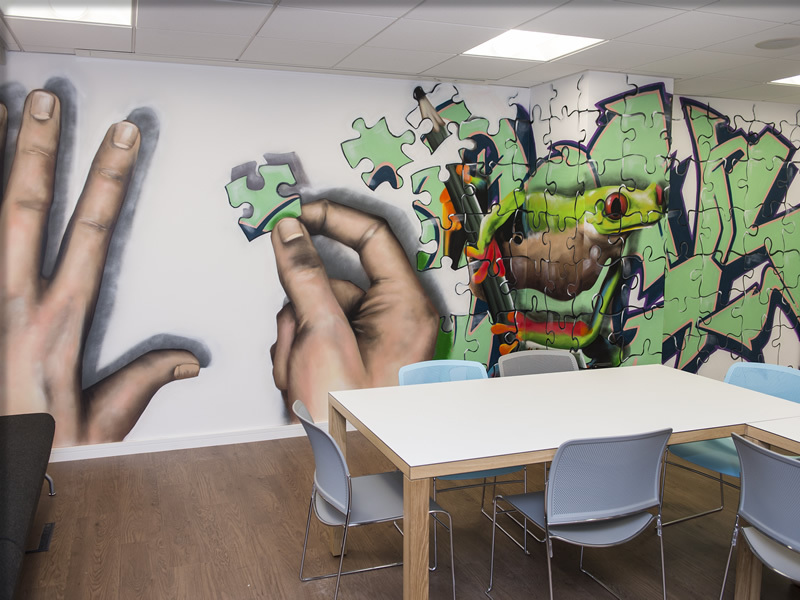 To complete the ‘outdoor’ look and feel, an indoor courtyard with grass, picnic tables and old fashioned street lamps is the central space for employees to meet, finished with a Duke of Wellington canvas, which in true Glasgow style shows the Duke donning his obligatory traffic cone. 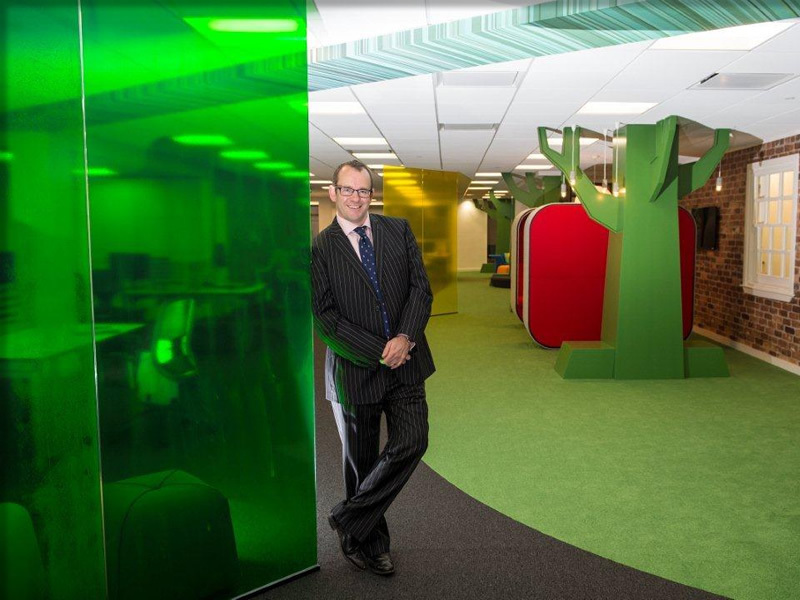 For the past 30 years, US-based Blackbaud have developed software and services for not-for-profit organisations helping over 30,000 customers accomplish their missions. 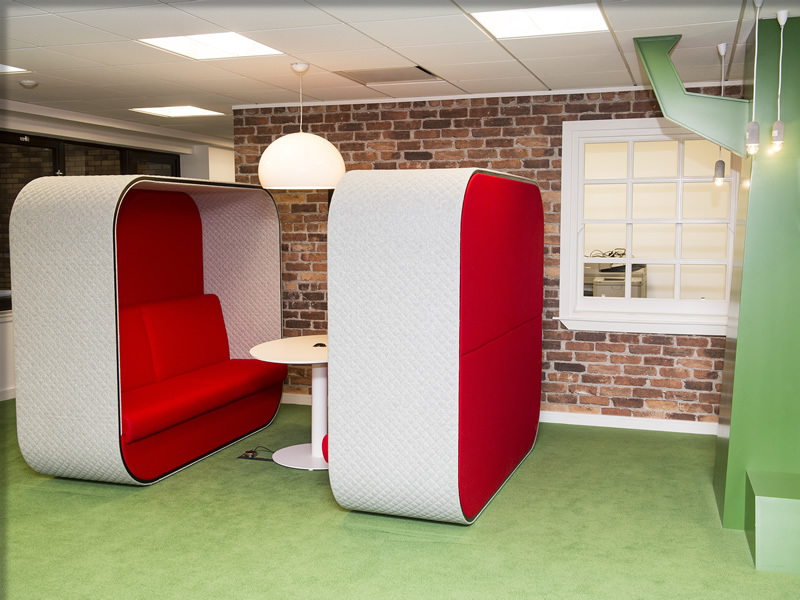 Scotwood began the Blackbaud contract in April and completed the entire fit out in the designated six-week timescale, under the project budget. 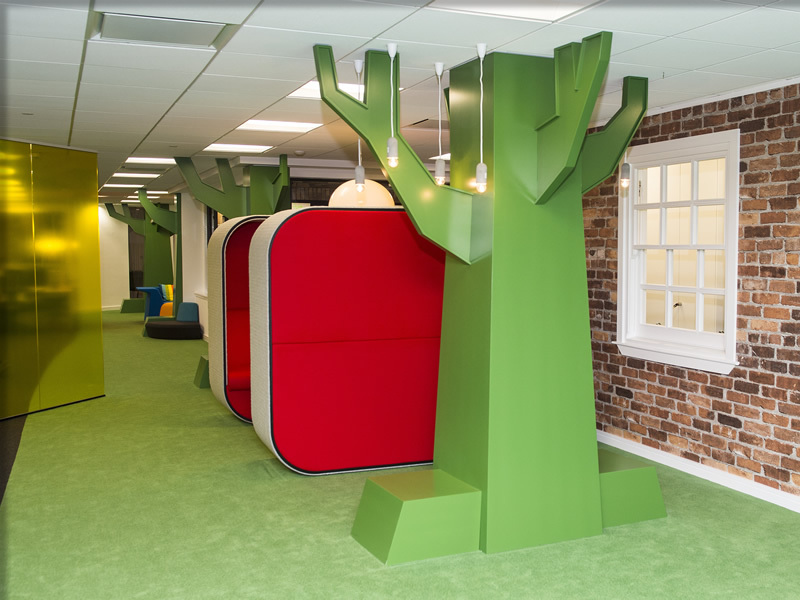 A standard open-plan office has been transformed in to a bespoke Dear Green Workplace with meeting rooms and break out areas fitted out with indoor trees, grass, street graffiti and Glasgow tenement windows.